Cone Penetrometer Testing has been used extensively in Europe for over 50 years for hydrogeologic, environmental, and engineering investigations. The test consists of pushing a 1.41-inch-diameter cone with a 55-degree conical tip through the underlying ground at a rate of 2 cm/sec with up to 20 tons of force. CPT soundings can characterize unconsolidated soils, alluvium, and rock. Hydro-Terra Group’s CPT soundings use digital electronics to directly measure and log tip resistance, sleeve friction, inclination, and pore pressure and calculate tip/sleeve & pore pressure ratios, Std. Penetration Test (SPT) equivalent, and soils interpretation at 2 cm intervals (ASTM D-5778), supplemented by soil cores. On a maneuverable dual-wheel truck, our standard 4-ton CPT force sounds to 70 feet. For tougher jobs, on-board earth augers generate 20 tons. Fast, accurate, and generates no soil materials, no borehole stability concerns. 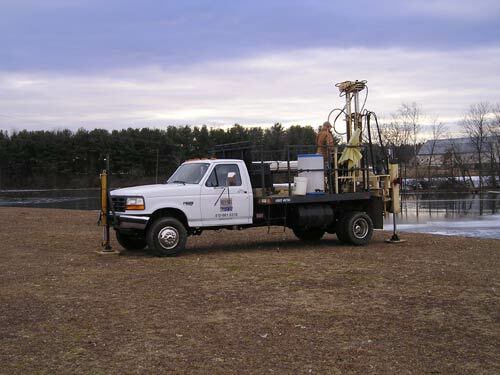 Real-time stratigraphic profiling of soils, hydraulic boundaries and conductivity. Stand-alone or with borings & geophysics. 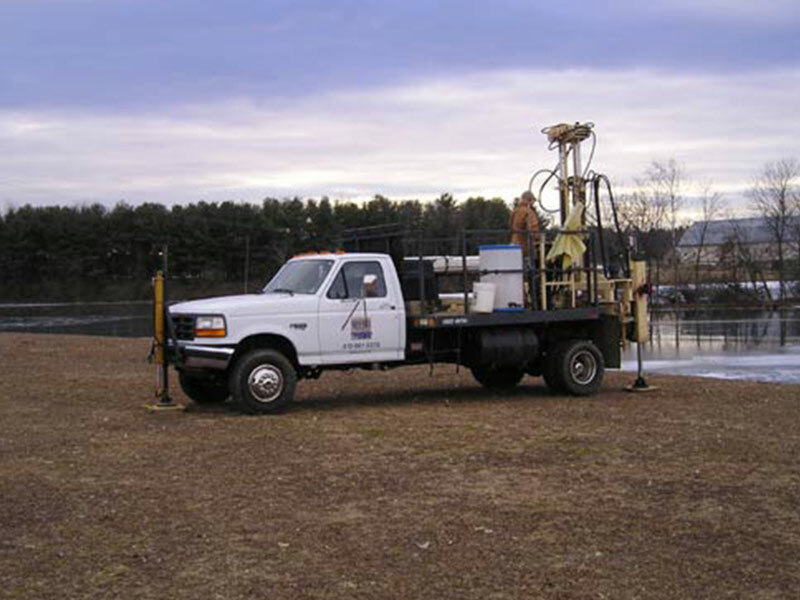 Geotechnical/foundation design and sinkhole investigation/remediation data. In-situ laser-induced fluorescence (LIF) capability to identify hydrocarbons. Data for 3-D modeling and visualization. Stern-mount sounds near to structures. Our tool makes it fast and simple to calculate the volume, thus saving time in the field. The Hydro-Terra Group is ready to assist you with your sampling needs. A handy reminder when going out into the field for sampling.